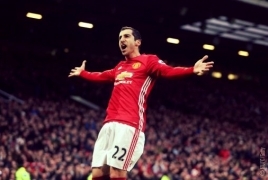 "Henrikh recently recovered from a fracture of the metatarsal bone. In the last matches, the Armenian regularly contributed with goals and assists." Mkhitaryan won Arsenal’s February Player of the Month award for his impressive performances. The Armenia international returned from injury with a bang, setting up Alex Lacazette before doubling the Gunners' lead 10 minutes later against Southampton. He then repeated the feat against Bournemouth, burying Mesut Ozil’s pass before assisting Laurent Koscielny as we ran out 3-1 winners over Bournemouth.